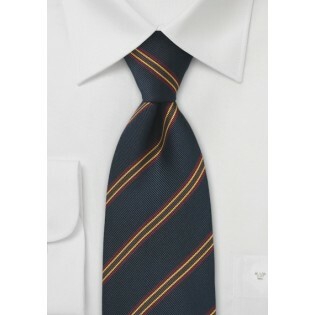 Get posh with your sense of fashion with this remarkably versatile and undeniably handsome regimental tie in navy blue. The diagonal stripes in burgundy and yellow instantly add color and personality to the repp textured tie. 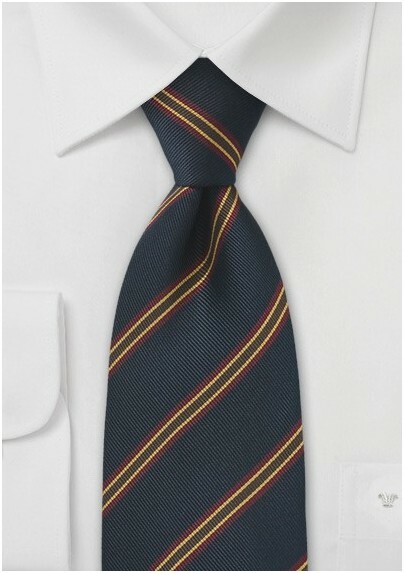 This regimental tie exemplifies elegance, masculinity and timeless sophistication. We love to see this handsome tie paired with an oxford dress dress shirt, navy trousers and burgundy loafers. This tie is sure to turn heads at your next office meeting. Crafted from pure silk.